When you think of ice, there’s a good chance you picture cube ice. 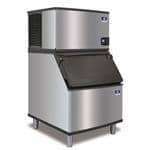 This type of ice is by far the most common ice shape for food service and restaurant use. 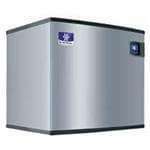 Proprietors love it because it melts slower, which means it may reduce ice consumption and save you money. This is the type of ice that’s most commonly served with soft drinks and cocktails. 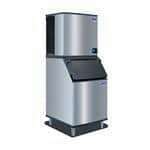 CKitchen is more than happy to work with you so that you find a commercial ice maker that’s most appropriate for your needs and budget. 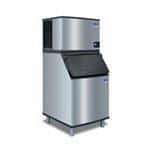 We offer the guaranteed best prices on cube ice makers by Manitowoc, Maxx Cold, Scotsman and other industry leaders. 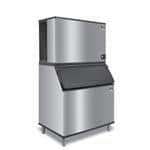 Cube ice machines come in a wide variety of different styles. 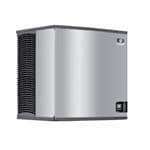 One of the first things to consider when choosing your unit is cube size. Cubed ice comes in several common sizes — regular size (roughly 1.125 inches by 1.125 inches by .875 inches), full dice (roughly .875 inches by .875 inches) and half dice (half the size of full). 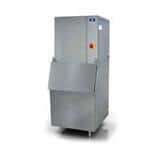 Choosing which size is best for your needs comes down to your specific applications. 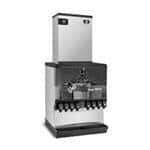 Of course, these machines also produce ice at varying volumes. 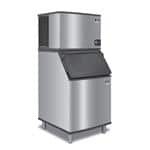 Determining how much ice you need in a 24-hour period is important to helping you nail down exactly how big your machine should be. 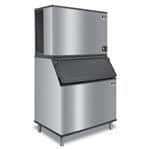 Restaurants, on average, use about 2 pounds of ice per customer per day, but your needs may vary. 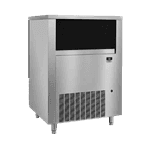 Just like all types of ice machines, commercial cube machines come in several cooling styles, including air-cooled, water-cooled and remote-cooled. 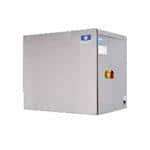 Air-cooled units are easily the most common, particularly because they’re more efficient and cost-effective ever time. 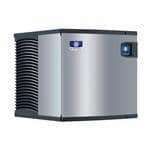 However, they do have some limitations that water- and remote-cooled ice makers can address. 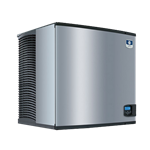 For example, if you have a smaller space, you might consider a water-cooled style because it doesn’t have as many bulky components. Our customer service team is more than happy to help you narrow down different models so you find the perfect one for your needs.